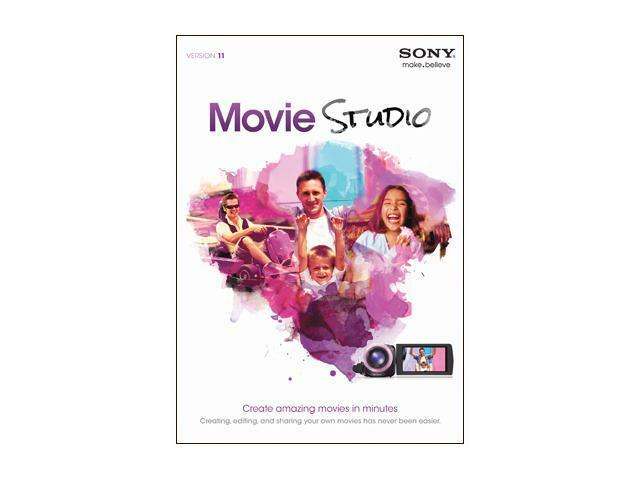 Create breathtaking movies that beg to be watched again and again using Movie Studio 11. Easily drag-and-drop digital photos and video footage onto the timeline and arrange them to best tell your story. Quickly edit out the parts you don't want and then add style and energy to the rest with transitions, titles, and video effects. Watch your changes instantly to see what your finished movie will look like. Sharing your creation is simple. When you're ready, export your movie to online sharing sites like Facebook or post directly to YouTube from inside the application. Snapping - color-coded visual snap indicator and the ability to snap to event edges on other tracks. Other Thoughts: It's fine for creating very basic videos, but you need to save often, as the software will crash and require a restart. You'll also notice random things stop working, like the play button, or the render directory won't load. Just close down the program, and restart. I couldn't see creating anything important with this software, it's too frustrating. Pros: Does most simple editing, multiple video tracks, wipes, limited effects etc. Cons: Weak on the Audio Side, Stupid Limitations, many effects are garbage, clunky controls. Other Thoughts: Program is ok for cheap price. Coming off a program like Grass Valley Edius, I was a little disappointed in the audio support. Doing exact cross fades and such are a bear with this program. Doesn't seem to let you cut and paste the files on the fly. You have to use their trimmer which is a pain and time consuming. For the fades you do not have exacting control over them, rather you have some pre-bult models which are not exact. You have decent control over the effects, but if you are looking for a movie look- forget about it. It has some basic effects from Magic Bullet that are not that adjustable and look very poor compared to even the much older version of Edius I was using. If you like fake looking lines on your video (that is supposed to be dust) and limited coloring you're in the right place. If you are planning to go to a DVD, you will find incredibly and stupidly that the program does not directly render the required audio AC-3 format! Instead, you will have to render the audio into another format and then rebuild it in a program like DVD Architect. Of all the things to cut between this and Plantinum, why would you cut out the proper audio codec? Beats me, but I'll finish in Architect. I thought I would try it because I did use Vegas a little in the past. However. after using the program, I'm more likely to return to a newer version of Edius than to upgrade this software up to Platinum or move up to full fledged Vegas. Even though I could understand and navigate this program fairly rapidly coming from an editing background, the controls were sort of clunky. When using certain tools such as motion tracking, the interface constantly annoyed me by trying to dock the window when I had it open large. It has been relatively stable so it gets one star just for that. It's an ok cutter, it just won't impress the Pros enough to upgrade up the ladder or cross over. Pros: Nothing I can think off. Cons: Never actually could make a movie of this software. The compiled video was not running smooth and getting stuck at almost every frame. Other Thoughts: Should have not bought. Other Thoughts: i though my version died for no reason, then I found the s/n and everything is OK.
Pros: still testing the software so far so good. Cons: No problems that I can identify at the moment. Other Thoughts: Going into this i already knew the limitations of it, over all it great for those simple edits. One thing that i really wanted was the Composting mode for videos however i realize it didnt have screen option after i purchased it. This is great for home usage, editing videos for youtube, facebook, etc. It does have a tutorial for first time users! If you are looking for a cheap and good editing software this is it! I recommend looking the product on their website it gives a full detail of all the features!